Moving can be a very stressful event, NOT if you choose Big-Vault Portable Storage. 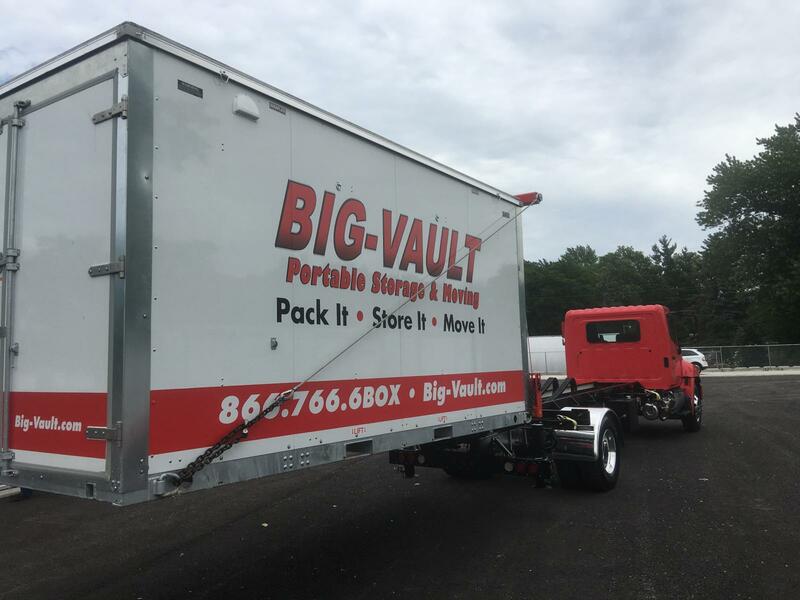 Big-Vault makes moving easy, by delivering your weatherproof Big-Vault right to your specific location and picking it up whenever you are ready. With Big-Vault, you get the convenience of packing on your schedule and the peace of mind that your stuff is safe. Big-Vault is proud to provide portable storage to the entire town of Valapariso in Porter County, Indiana. Whether you're near the Chicago Street Theater, the Porter County Museum, or the Brauer Museum, It doesn't matter. We will bring a Big-Vault portable storage container to your residence or business and make moving a little easier and less stressful for you. Once the Big-Vault is delivered, you just have to walk your belongings out your front door or garage and load it up at your leisure. You can move your items into the portable storage container on weekends, evenings or when friends and family are visiting. There's no hurry or rushing. 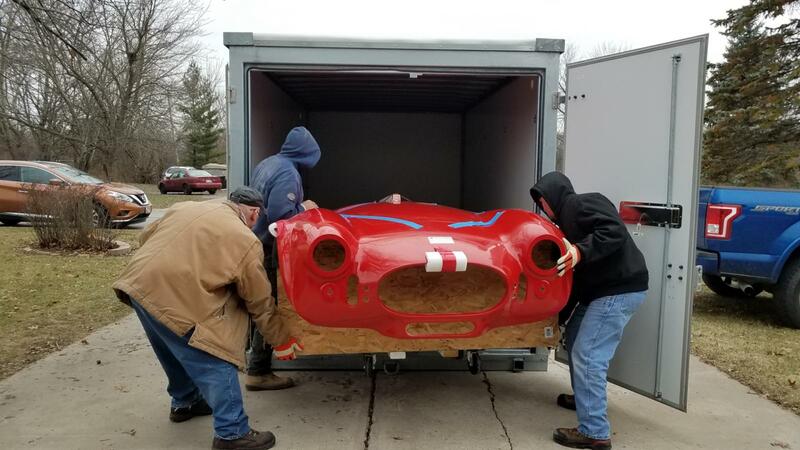 When your belonging are loaded and you're ready to have the container moved, you just call one of our friendly representatives and we wil schedule a pick-up. 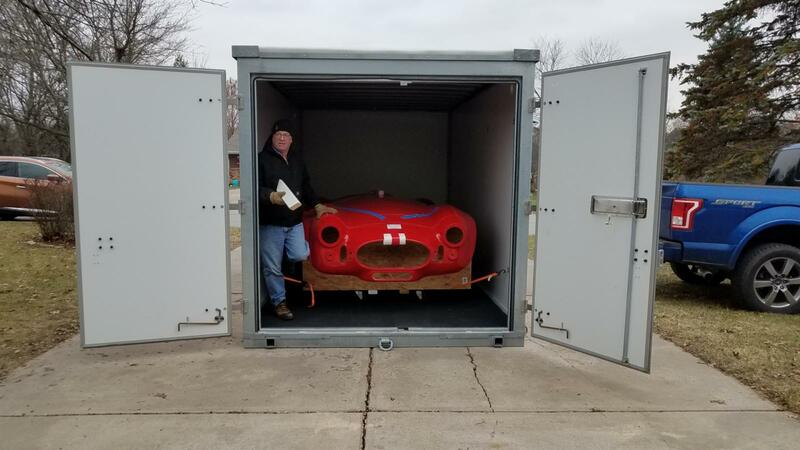 Our courteous and professional driver will then bring the Big-Vault to your new residence or store it at Castle Storage, which is located on Route 30 in Dyer, Indiana just down the block from Meyer's Castle. 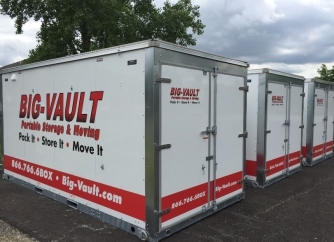 Big-Vault portable storage offers three-unit size variations to meet your specific moving needs. As well as allowing you the convenience of choosing from three moving options, which works best for your requirements. Option 1). We offer curb to curb; We will deliver an empty unit to your current location, you do the packing, when you're ready, we will come and carefully move your filled unit to your next location. This option is suitable for individuals moving from one residence to another. Option 2). We deliver an empty unit to your location, you do the packing, when packing unit is completed, we will come and carefully move your unit to our fenced security locked facility and store the unit for a nominal cost until you're ready to receive your unit. We will deliver your unit back safely to you. You have the convenience of emptying the unit at your leisure. When you are completed with clearing out the unit, we will come and retrieve the empty storage unit. This option is suitable for individuals building a home or moving to another residence which is not ready yet. Option 3). We deliver an empty unit to your requested location, you fill it and empty it when you're ready, when the unit is empty we will come and retrieve the empty unit and return it to our facility. This option is suitable for individuals who are remodeling a room or rooms. Please feel free to call us at 219-322-2852 and one of our friendly representatives will be happy to answer all your questions and give you a quote--no strings attached. Big Vault units are a full 8' in width compared to some companies that call their boxes 8' x 16' but in reality deliver the widest that they can deliver (due to their restricted lifting device) which is a container that is really only 7'2" wide. Compared to these, Big Vault actually provides you with the extra 13.3 square feet of floor space that you are expecting. In actual packing area that extra 10 inches for the length of a 16' box is equal to 106 cubic feet of storage space that Big Vault provides you. Moving can be a very stressful event NOT if you choose Big-Vault Portable Storage.